How do I hide the linked app on the mobile device? This option is intended to be used for hiding reference data (lookup tables) in record link fields. When enabled the app and all accessible data will still be downloaded to the mobile device, but the app will not be accessible by the app selector on mobile. 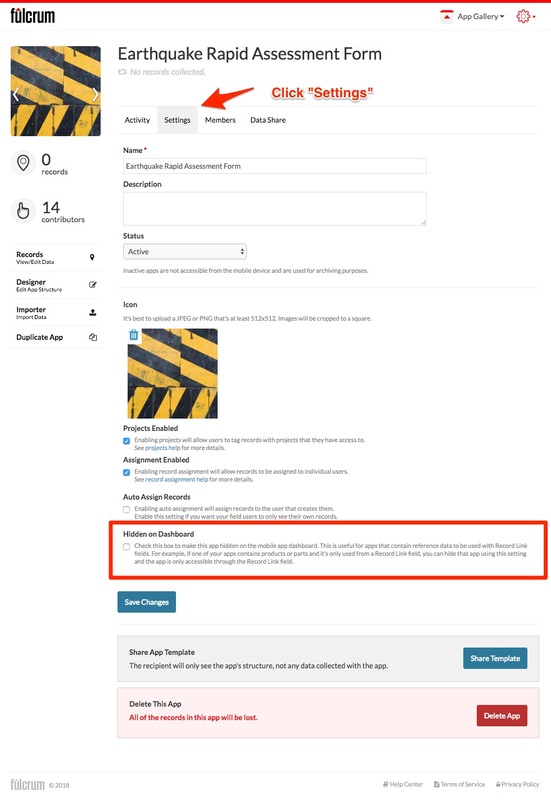 This is ideal if you do not wish to present the linked app to the field user and only want them to access the linked app though the record link field. Then click Hidden on Dashboard checkbox.